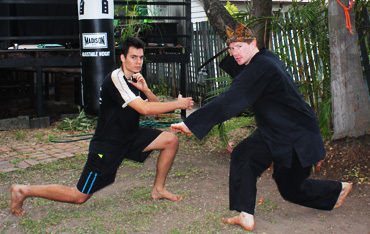 Pencak Silat itself comprises a multitude of styles, which can be very different depending on the region and ethnical groups where each style originated. Common elements of most syles are smooth movements, elements resembling and influencing traditional dance. 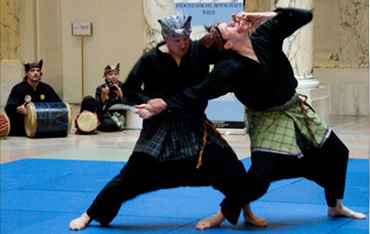 The Pencak Silat style Anak Harimau has mainly been influenced by traditional Silat styles of Indonesia, which are rarely thought outside of their homeland. Anak Harimau emphasises traditional weaponry training and realistic fighting techniques. Training always requires an respectful athmosphere. Possibilities to train Pencak Silat Anak Harimau takes place Murri Watch Mens Shed at TJ Doyle Memorial Drive in Dutton Park, 4102 QLD on Tuesday and Thursday 18.00-20.00. Some shots from our last training. We train twice a week at the Murri Watch Mens Shed at TJ Doyle Memorial Drive in Dutton Park, Brisbane. For..